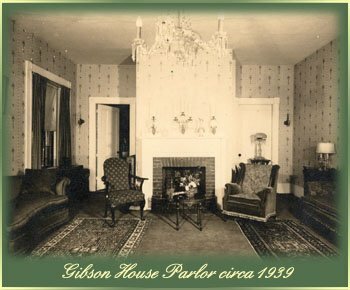 Rich in history, natural beauty, and artistic detail, the Gibson House provides guests a unique and unforgettable vacation experience. 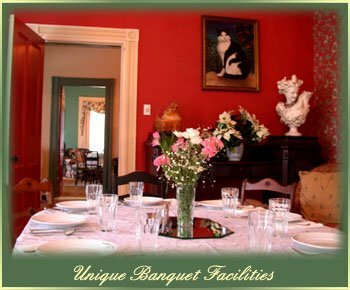 Centered on the historic village green of Haverhill Corner, New Hampshire, the Inn overlooks the pristine Upper Connecticut River Valley and Green Mountains of Vermont. 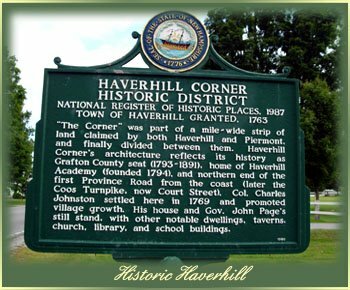 Featured in the December 2004 Issue of Antiques Magazine, Haverhill Corner, New Hampshire is the quintessential New England village, picture-perfect and totally devoid of commercial activity. Rebuilt in 1850 on its original stone foundation, this classic Greek Revival building is an authentic part of American History. 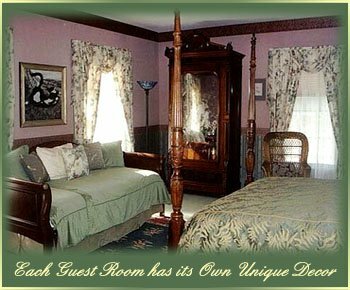 Listed in the National Register for Historic Places, the building served as a stagecoach inn throughout the 1800’s. During the Civil War, it was a stop on the Underground Railway. Imaginatively restored by a well-known local artist, every room conveys the opulence of a by-gone era, combining zestful personality with creature comforts. In keeping with this aesthetic vision, paintings by local and nationally recognized artists are prominently displayed. All sale proceeds go to the artists. The Gibson House staff is dedicated to meeting every guest’s special needs. We even serve breakfast early if you have an appointment. Well-behaved children of all ages are welcome, rare among similar establishments. Unfortunately, we cannot accommodate pets, except in special circumstances. We can arrange for pet-sitting nearby in a home environment. Our multi-course hot breakfast never fails to receive rave reviews. 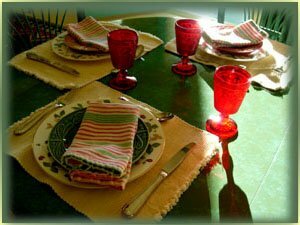 With every breakfast, you can expect fresh fruit, homemade bread and muffins. Signature entries include eggs to order, omelets and strata, as well as our special pancakes, French toast, and waffles. We offer guests a choice of cheese, bacon or sausage. Our coffee and teas are among the finest available. Complimentary cold and hot beverages are always available. During your stay, explore our expansive formal gardens and relax by the lily pond and illuminated fountain. 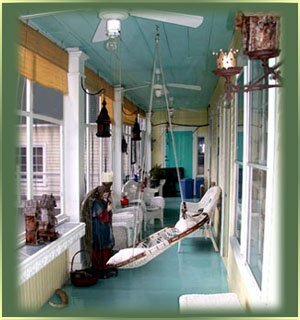 Enjoy the mountain and garden views, day and night, from our spacious patios, decks and two 50 foot porches overlooking the valley. Curl up with a good book in one of our many parlors and sitting rooms! While we want you to ‘leave your cares behind’, sometimes it’s necessary to stay connected. Unlike many locations in Northern New England, most guests receive excellent cell phone reception. House phones are available for local calling. We offer high speed wireless Internet, as well as dial-up access. Complimentary digital cable TV is brought to your room on request.